Even if you live in a location where freezing weather is a rare occurrence it’s important to prep your plumbing when temperatures start to drop. Here are some bulletpoints that will help you prevent your pipes from freezing. Water expands as it freezes, creating an icy blockage that increases pressure and causes pipes to burst. 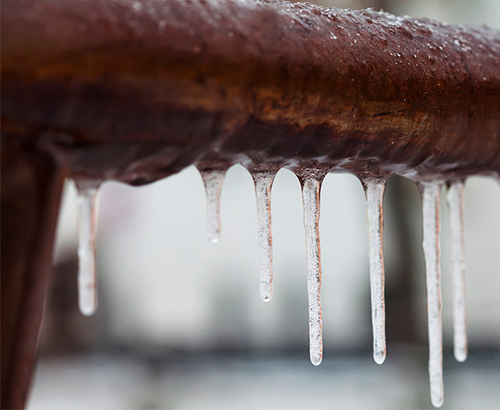 Letting the faucet drip during cold weather can prevent a pipe from bursting. Keep garage doors closed if there are water supply lines inside the garage. For more tips on prepping your plumbing for freezing download the PDF here.